So it's mildly interesting to read two things in yesterday's edition - his first as editor. There's his Leader article (geddit?) which, frankly, is not terribly illuminating. "Freedom and Optimism"! Well, he knew everyone would be reading it. ... in which he reports on a serious attempt to do better analysis of the impact of WTO terms, etc, than the Treasury did as part of Project Fear last year. Yes, he specifically has a go at Project Fear and the Treasury - as it was under Osborne, of course. I read into that editorial that May's mandate is non-existent if she is not explicit about hard Brexit in her manifesto. In the second part of the editorial The Standard takes the moral high ground over diversity (code: Brexit is racist) - I infer that Brexiters are against diversity from that then. Later in the newspaper is an article in which it says people have different views about what controlled immigration means. Further muddying of waters. This isn't a job opportunity. It is part of the multi-prongued maneuvering against Brexit. "We will hold the Government to account" I would include in 'we' Branson/Miller/Blair/Farron... and most of the establishment. Are 50-odd per cent of the educated public actually thick enough to buy the whole 'brexit is racist/xenophobic' thing or is it just a line of attack? It's really starting to bug me folk saying not liking the EU is 'xenophobic'. For a start, if fear of foreigners is irrational then why does every non-failed state have an army? Shouldn't they be suggesting we scrap the military on this logic? And doesn't every country have (and every political party advocate) a racist immigration policy? How the hell did we ever let the debate sink to the level whereby anyone who thinks immigration policy should be tightened from whatever point it is at is any more 'racist' than having different policies for people of different nationalities in the first place? Steven_L - The Marxist left love to redefine the meaning of words, so of course Brexiteer's are racist/xenophobic based on today's definition - everyone is that is white. "For a start, if fear of foreigners is irrational then why does every non-failed state have an army?" In my nearest town is an Army recruiting centre, conveniently placed between the poorest shopping street (full of Polish (and Portguese) shops and halal butchers) and a large supermarket. They were outside over the bank holiday, handing out leaflets to passers-by who were speaking in various eastern European languages - and even French - there seem to be a lot of people from African Francophone countries here now. I did think of asking them what our armed forces were for, these days - whatever it is, it's not defending our borders. 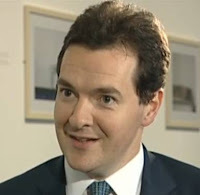 Whatever happened to his rather fetching "clever schoolboy" haircut? Why is he now sporting a bookie's cut?